You likely already know that ingredients in personal care products are just as important as the foods you eat. With your skin being your largest organ, the products you put on your body matter! But whether you knew this or not you may still be wondering – how do you avoid them? And more importantly, what are the ingredients to look for when assessing personal care items? We enlisted the help of our sponsor, Morrocco Method, for this handy list below to help us all take the guesswork out of what to buy. I’d highly suggest taking a picture of this with your phone and having it handy with you next time you go shopping – no more wondering whether products pass the test or not! Parabens are chemical substances used in a great deal of shampoo and cosmetic products. Initially intended to inhibit bacterial growth in cosmetics, time has revealed some nasty side effects such as possible disruption of proper endocrine function and also links to cancer. Sulfates are widely used because of their ability to attract and break down dirt. However, sulfates can strip away precious moisture in the hair along with protective barriers. They can also cause skin irritation, hair deterioration and sometimes eye damage – ugh! The so-called sweet smells were actually created to mask the concoction of hazardous chemicals in products. I’d much prefer just not having the unwanted chemicals (or the fragrance) at all, thank you. The purpose of phthalates is to increase the flexibility and softness in plastics in products like nail polish, lotions and hair sprays, making them easier to distribute. But they’ve also been linked to breast cancer, reproductive birth defects, and endocrine disruption. One of the biggest offenders in packaged foods is also commonly found in personal care products. They’re often derived from petroleum or coal tar sources, are suspected to be carcinogenic, and are known skin irritants. 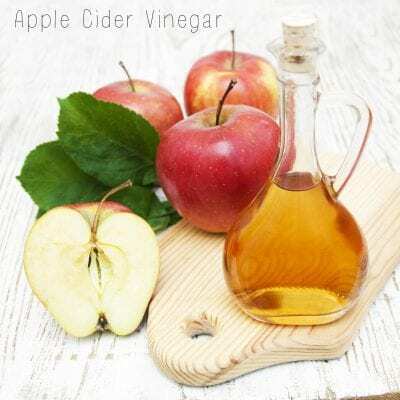 Apple cider vinegar (ACV) can be used on the hair to promote hair growth by stimulating the scalp. It can cleanse the hair efficiently without stripping the hair follicles of their natural oils. The environment alone causes chemical buildup which can easily be removed with ACV, and a bonus: ACV possesses antibacterial and anti fungal properties which can help with dry, itchy scalps. Green tea is rich in vitamins and antioxidants that can treat and help prevent hair loss. It strengthens the hair while protecting the cells from damage from free radicals, as well. Bentonite clay is used to cleanse the hair and pull out chemicals without stripping the hair of it’s essential oils. Found in natural mountain deposits all over the world, it can alleviate frizzy or damaged hair, treat eczema and dandruff and also provide the hair with calcium, potassium and sodium. 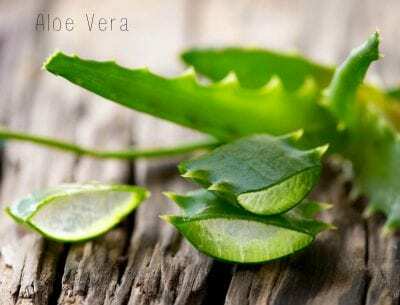 Aloe Vera is rich in amino acids, vitamin A, folic acid and vitamin C. It can prevent frequent hair loss with growth-promoting enzymes that eliminate dead skin cells; it also helps retain moisture in the scalp, which in turn prevents dandruff. 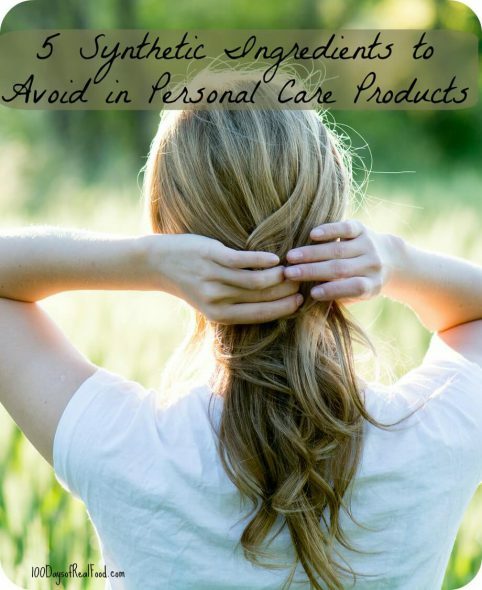 I realize that changing your hair care products can be somewhat scary and even overwhelming – but ridding your body of these unwanted substances and chemicals should make the transition easier. Watch as my daughter and I show you in this video how well the dry shampoo works from Morrocco Method! Morrocco Method is offering 15% off of your purchase to let you try out their products that are all sulfate- and gluten-free and all natural. Just use the code “Real15″ and enjoy! Also check out Shea Moisture products! MOST of their products only contain pure nut oils/butters. They are also not tested on animals. LOVE, LOVE, LOVE their baby products as well! If every product I put on my body is immediately absorbed through my pores and into my bloodstream, shouldn’t I be deadly scared of rain? Imagine all the water entering my blood stream and hence thinning it out. Aloe Vera – “It can prevent frequent hair loss with growth-promoting enzymes that eliminate dead skin cells”. What is that supposed to mean? Sorry, that article is so bad … actually quite hilarious … and sad. Critical Reader – While I do not appreciate your approach or the tone of your comment I wanted to follow up that after further research the bloodstream statement (that was given to me by Morrocco Method) has been removed. This edit does not change the overall message of this post nor does it change our desire to choose personal care products without unwanted additives. I apologize if my tone was inappropriate. I was aware that the ‘blood stream statement’ was given to you by Morrocco Method. And that exactly is what I find so sad and hilarious about that article. You publish the most ridiculous claims from your sponsors without ever proof checking them. And it is not the first time that it happened. To name just a few examples: Organic Valley, Applegates, Traditional Medicinals – they all made you put out more than questionable statements that favored your sponsors’ but not necessarily your readers’ interests. Did you ever ask yourself whether you have the expertise and knowledge to check facts? In the name of Morrocco Method you claim that shampoos need to be free of parabens, sulfates, fragrance, phthalates and synthetic colors and should contain apple cider vinegar, green tea, bentonite and aloe vera. But in an earlier post (https://www.100daysofrealfood.com/2014/03/20/natural-personal-care-products/) you recommended “Yes to Carrots, Nourishing Shampoo” with the following ingredients: Water (Aqua), Sodium Coco-Sulfate, Cocamidopropyl Betaine, Daucus Carota Sativa (Carrot) Seed Oil, Aloe Barbadensis (Aloe) Leaf Juice, Punica Granatum (Pomegranate) Extract, Maris Limus (Sea Silt) Extract, Maris Aqua (Sea Water) , Tocopheryl Acetate, Glycol Stearate, Glycerin, Tetrasodium Glutamate Diacetate, Citric Acid, Sodium Chloride, Phenoxyethanol, Fragrance (Parfum). The shampoo contains both sulfates and fragrance and none of the ingredients of your positive list. Do you have an explanation for that discrepancy? The shampoo is still in your list of favorite products (“This is currently our favorite shampoo (and conditioner) after trying load of other “natural” options.”) and it is linked to your amazon account. If I click that link you receive a commission on my entire amazon sale (not just the shampoo), right? So, which shampoo are you currently using and which one do you recommend? “Yes to Carrots” (0.50 $/oz) or the roughly five times more expensive “Morrocco” (2.41 $/oz)? If you decide to take off “Yes to Carrots” from your list of recommended products is that going to be done quietly or are you going to make a public announcement together with an apology and a warning to everybody to immediately stop using that product? You claim above: “Sulfates […] can also cause skin irritation, hair deterioration and sometimes eye damage” – that sounds pretty severe. Critical Reader – I’ve been putting up with your comments like this for years and I have to admit it’s really getting old. I am constantly evolving and learning every day and since I am not as good with personal care products as I am food (as I stated above) I “enlisted the help of our sponsor, Morrocco Method, for this handy list below to help us all [ME INCLUDED] take the guesswork out of what to buy.” I wanted some guidance in this area, which is why I specifically asked for their tips here. I also sense that you have no idea what it takes to run a website. My blog contains loads of content – it would be pretty magnificent if every time I learned something new I could magically change any old content in dozens of places to match up perfectly. Those are some pretty high standards you have there. Not to mention I’m not sure how my amazon affiliate account is at all relevant to your concern about the validity of this post with no amazon links. I have no idea why you continue to spend time following my blog and leaving these comments. If you don’t like the information that is shared here then I encourage you to start your own blog or find something else to do with your time. I do find it disappointing that this became an ad from your sponsor. I was disappointed that there were no links to studies to back any of the claims, which is not how you usually operate. I truly didn’t realize that the company wrote the article. I thought they were providing help. That’s not why I read your blog. Alot of their information is not backed by any evidence, and in fact it’s flat our incorrect in many areas. There is nothing wrong with the shampoo you reco in your favorite things. I think you should leave it. I think the intent of pointing out the disconnect there is that you likely didn’t even realize that you are publishing information that you probably don’t agree with, or at least aren’t following because you didn’t write this. And I was getting very frustrated because this isn’t your caliber of writing. I do appreciate you leaving posts that disagree with you. I know it’s tempting to take them down, but it shows that you maintain your position in spite of challengers. It’s impossible to find a shampoo without some kind of sulfate . (No I don’t live in the USA and I don’t have money to order everything online) I’ve tried to mix up something at home but my hair looked terrible. I’ve switched to natural cosmetic a long time ago but unfortunately you can’t avoid everything. And I’m sure these aren’t the thing they’ll kill me if I live healthy otherwise . Great post! I love trying new products without synthetics! Thanks! All natural can still cause a lot of reactions. It’s not the same as hypoallergenic. I’m allergic to aloe vera. This list is still missing quite a few. There are 21 ingredients to avoid on my list. And yes, there are products that meet these requirements that do not cost an arm and a leg. You won’t be disappointed! Would you be willing to share what else is on your “don’t” list? I can tell I’m slightly allergic to something as my ears itch constantly with some shampoos but I can’t figure out what the culprit is. There is so much in our environment and lives that is bad for us. Makes you want to move under a rock somewhere. You can’t avoid it all. I have made the decision to be very careful about my skin products (since I am pretty much eating them through my pores) and be a little more relaxed when it comes to hair products. I only wash my hair a couple times a week and usually not while I am bathing/ showering. All of the ingredients to avoid are on Beautycounter’s Never List! In fact, Beautycounter goes even further and bans over 1,500 ingredients from their products. Every ingredient used in Beautycounter’s skin care and cosmetics is rigorously evaluated for safety and performance. Beautycounter’s mission is to get safe products into the hands of everyone! I love Beautycounter, too. My favorites are the Nourishing Cleansing Balm, Lustro Face Oil #2, Lip Sheer in Plum and kids shampoo, conditioner and body wash. So nice to know that I can trust these products…saves time from doing all the research. Beautycounter = safe = one stop shop! I love this website, I love Lisa’s book, and I try to live my life and take care of my family in a very similar way. I’m not sure who reads these comments (Lisa, admins or just the general public,), but I wondered if anyone has heard of or tried Perfectly Posh products? I’m happy to answer any questions, I love and use just about all of these products on my whole family. Thanks for checking it out, I would love to hear your feedback or introduce you to some of our products! I use Beautycounter personal products and makeup. Everything from foundation, to lotions, to sunscreen, to kids’ products are free of all toxins. Really great stuff. The company has a huge “never list” of unsafe products to avoid and that they never use. Beauty Counter is so darn expensive. The average person can’t afford their products. Why sell only through a consultant? Also, If it’s so fantastic and good for you why arent their products sold in stores? I made the switch to only products that have natural ingredients for my make-up. I already have allergies and quite a list of eye issues, and just wanted to know what I was slathering on my face daily. As my stuff expired or ran out, I replaced it with mostly Gabriel’s line of products. It took about six months, and the color options are quite limited. Without changing anything else, my complexion improved. My eye problems are a LOT less of an issue now – I was not expecting that so it was both a welcome change and a little scary to think of what might have been worsening them. So, if you’re on the fence, give it a go. And if you have allergies, definitely go for chemical-free. I am on a mission to share this message as well— I have had 2 friends find out they have cancer in the past week…and another person pass away from Cancer. I am a FIRM believer that this is connected with our products we are using as well the food we are putting in our bodies. I would love to send you some samples of Arbonne to try– no pressure. I just personally use the products and believe in them. Just email me and I’ll stick them in the mail. Love to try! What stores sell? Thanks! Unfortunately, when I checked the ingredients listed for the products on your website, there are still many harmful ones, including multiple synthetics and preservatives that are known endocrine disruptors. There is little to no regulation of ingredients in personal care products, so we must be diligent about reading ingredient labels and knowing exactly what is in our products. Vote with your dollars and don’t support companies who greenwash! Not sure, I agree with your “canned answer”— something that to me that reads like you never took the time to do the research on my website or more about my company. I am all for everyone having their personal opinions– clearly, I have my own as well. Canned? No. I have learned a lot in the last 6 months. I absolutely agree with the European standard for ingredient regulation, and advocate for much needed changes here in the United States. But when I look at the ingredient list for the Arbonne products, I see phenoxyethanol, PEGs, retinyl palmitate, potassium sorbate, sodium benzoate, etc… among many others listed as ingredients in the night repair creme #815. The above ingedients are known carcinogens and endocrine disruptors. Believe me, I went through a grieving process when I learned the products I was previously using were indeed harmful for me, my family, and my environment. While I have not found a safer solution for everything I use, there are definitely better options for a lot of the personal care and household products. My mission is to help more people learn to read ingredient labels on personal care/household products, just as we are accustomed to reading food labels. It ALL matters. Hi Brandi! I wanted to reply to you since you said you haven’t found a safe solution for all of your products. I LOVE my Ava Anderson Non-Toxic products and also love that their mission is to educate people about the toxic chemicals that are in most personal care products. You should take a look at the site and if you have any questions let me know :) My email is [email protected]. What great timing! I just started cutting my hair with their method and have been wanting to try their products, thank you! I’ve recently heard that mineral oil is toxic as well. Is this true? It’s in basically everything. Ugh. Hi there. Mineral oil is derived from petroleum. This might help: http://www.drfranklipman.com/3-key-reasons-to-avoid-mineral-oil/. Thanks for the info. I always love to hear about different products that are better for our skin. I’ve been replacing all of my products, usually with good results. It makes me cringe to think of our skin absorbing so many chemicals. We use Ava Anderson Nontoxic products in our house. We love them. You have to buy them online or through a local rep, but it is totally worth it. A young lady was frustrated that she couldn’t find pruducts free from endocrine disrupting chemicals, so she started her own company. When she was in high school!!! An inspiring young lady to say the least. Its so hard to control what you are putting on your body with the products from the store. And the products that are “safe” are just so expensive. So I bought organic basic materials, like shea butter and avocado oil, along with essential oils, and organic bar soap (like the soapifaction soap.) Now I make my own body wash, lotion, and moisturizer. I haven’t expanded to shampoo and conditioner yet, but it’s on the to-make list. Try Pure Skin Solutions. Look on FB. It’s a true hand made chemical free body products company. Love the products at 100% Pure. I already use the shampoo, but am looking for an approved deodorant, hairspray, toothpaste and perfume. Any ideas? You can use our Diamond Crystal Mist and/or Sapphire Volumizer Mist as a natural deodorant and for the hairspray, you can dilute our Blood of the Dragon Styling Gel with water and fill it into a spray bottle. I have gone to the Morrocco site as well as the Bloom Naturals site that you have recommended. The Bloom Naturals site warns of several things to watch out for, including water as an additive to products. Yet, when I look at the Morrocco site and look at their products, Water is the first ingredient that I find in their shampoo. Can you help me better understand how to navigate all of this as it is very confusing?